Gauri Lankesh Murder Case : Parshuram Waghmare was paid Rs 13,000. You are here: Home / Crime / Gauri Lankesh Murder Case : Parshuram Waghmare was paid Rs 13,000. 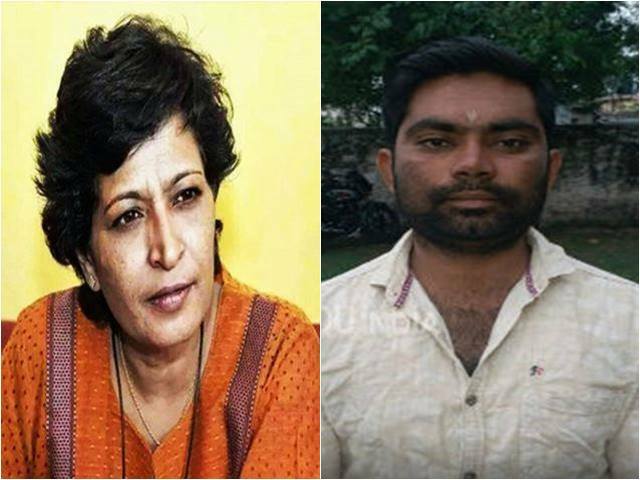 Parshuram Waghmare, who allegedly killed journalist Gauri Lankesh on September 5 a year ago, has told the investigative officials that he killed Gauri Lankesh not for money but for her anti-Hindu views and statements. Parshuram, who is 29 years of age, said that he was paid Rs 13,000 for the work, sources in the Special Investigation Team (SIT) disclosed to the media. Parashuram disclosed to SIT authorities that he met a man in Sindhagi, who assured him of all help if he killed Gauri Lankesh. Parshuram said that he was given an advance of Rs 3,000 for food and stay in the city. After the murder, a stranger gave him Rs 10,000 and he left the city. “After Gauri’s murder, I left for my hometown and nobody reached me,” Parshuram purportedly told the SIT authorities. Parshuram, who used to work at a kitchen utensil shop, quit going to work after the murder.